Paul Cezanne, Claude Monet, and Auguste Rodin. The names of these brilliant nineteenth-century artists are known throughout the world. But what is remembered of their wives? What were these unknown women like? What roles did they play in the lives and the art of their famous husbands? 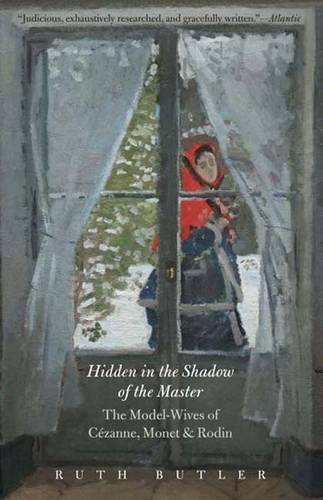 In this remarkable book of discovery, art historian Ruth Butler coaxes three shadowy women out of obscurity and introduces them for the first time as individuals. Through unprecedented research, Butler has been able to create portraits of Hortense Fiquet, Camille Doncieux, and Rose Beuret-the models, and later the wives, respectively, of Cezanne, Monet, and Rodin, three of the most famous French artists of their generation. The book tells the stories of three ordinary women who faced issues of a dramatically changing society as well as the challenges of life with a striving genius. Butler illuminates the ways in which these model-wives figured in their husbands' achievements and provides new analyses of familiar works of art. Filled with captivating detail, the book recovers the lives of Hortense, Camille, and Rose, and recognizes with new insight how their unique relationships enriched the quality of their husbands' artistic endeavors.